Martin Luther’s teaching of Justification by Faith. In the following video message below, Professor R. C. Sproul teaches about the life of Protestant reformer Martin Luther (1483 – 1546 AD) who pioneered the way for the Protestant Reformation. 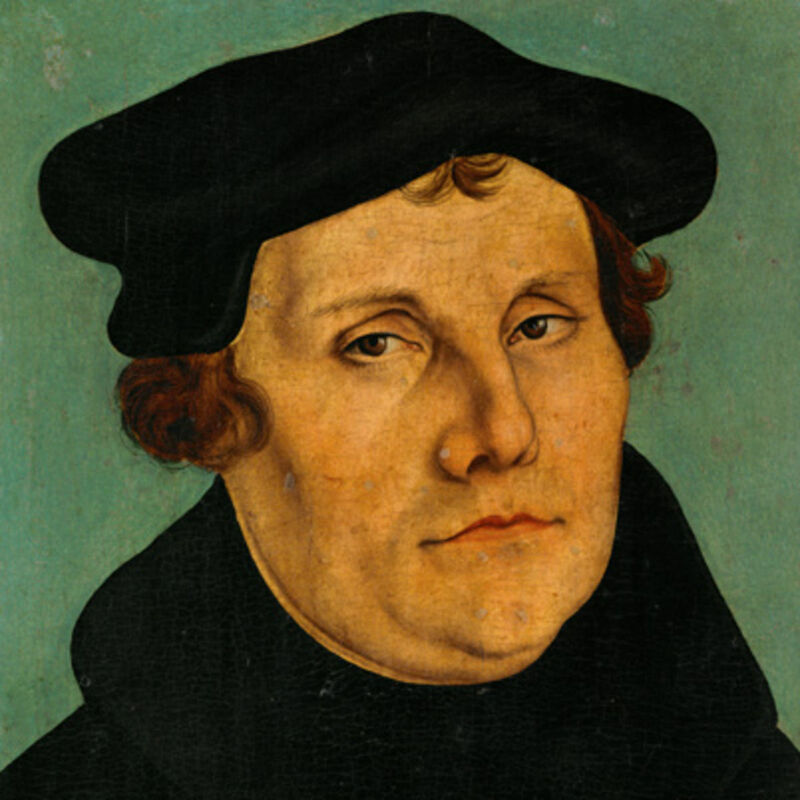 Because of his rejection of Roman Catholic doctrines and his teachings of Justification by Faith, Luther was excommunicated from his position of priesthood in the church. The Pope of that time, labeled him a crazy man and “a wild pig” (See Ex Surge Domine). The modern church today has much to be grateful for – to God, and the courageous efforts of reformers like John Wycliff, Martin Luther, John Knox, John Calvin, William Tyndale, and so many others. It is true that these were also imperfect men that made mistakes about other matters. But they were all right about one thing: Salvation comes by faith alone – we cannot earn it by our good works – it is a free gift from God through Jesus Christ our Lord. Categories: BIBLICAL HISTORY | Tags: Dark Ages, Faith, Imputed Righteousness of Jesus Christ, John Calvin, Justification, Martin Luther, Protestant Reformation, Roman Catholic Church | Permalink. BIBLICAL HISTORY: Servant of Jews, Servant of Christ – The Legacy of Corrie Ten Boom. 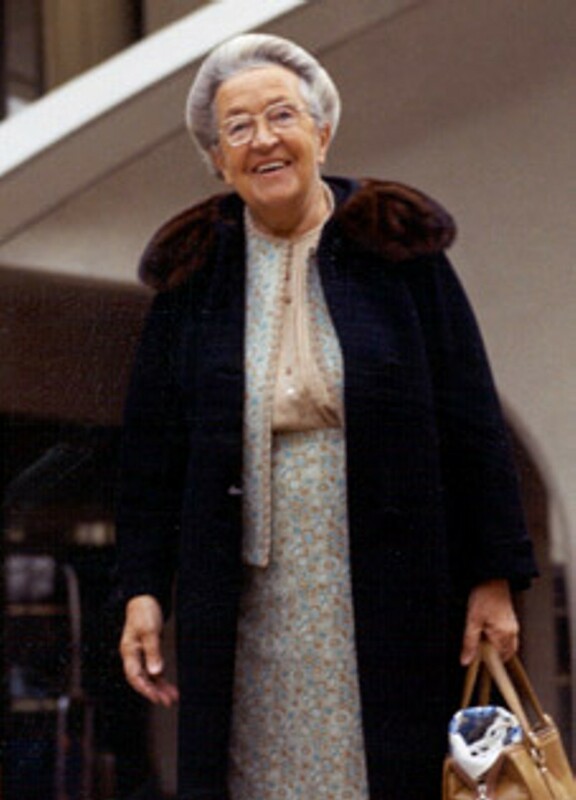 Corrie Ten Boom (1892 – 1983) has long been honored by evangelical Christians as an exemplar of Christian faith in action. In 1940, the Nazis invaded the Netherlands. By 1942, she and her family had become very active in the Dutch underground, hiding refugees. They rescued many Jews from certain death at the hands of the Nazi SS. They helped Jews because of their veneration for God’s Chosen People, and even provided kosher food and honored the Sabbath. Corrie’s family were strong Christians. Arrested by the Nazis along with the rest of her family for hiding Jews in their Haarlem home during the Holocaust, she was imprisoned and eventually sent to the Ravensbruck concentration camp along with her beloved sister, Betsie, who perished there just days before Corrie’s own release on December 31, 1944. Inspired by Betsie’s example of selfless love and forgiveness amid extreme cruelty and persecution, Corrie established a post-war home for other camp survivors trying to recover from the horrors they had escaped. She went on to travel widely as a missionary, preaching God’s forgiveness and the need for reconciliation. Corrie’s devout moral principles were tested when, by chance, she came face to face with one of her former tormentors in 1947. The following description of that experience is excerpted from her 1971 autobiography, The Hiding Place. It was in a church in Munich that I saw him, a balding heavy-set man in a gray overcoat, a brown felt hat clutched between his hands. People were filing out of the basement room where I had just spoken. It was 1947 and I had come from Holland to defeated Germany with the message that God forgives…And that’s when I saw him, working his way forward against the others. One moment I saw the overcoat and the brown hat; the next, a blue uniform and a visored cap with its skull and crossbones. It came back with a rush: the huge room with its harsh overhead lights, the pathetic pile of dresses and shoes in the center of the floor, the shame of walking naked past this man. I could see my sister’s frail form ahead of me, ribs sharp beneath the parchment skin. Betsie, how thin you were! “You mentioned Ravensbruck in your talk,” he was saying. “I was a guard in there.” No, he did not remember me. “I had to do it — I knew that. The message that God forgives has a prior condition: that we forgive those who have injured us.” “But since that time,” he went on, “I have become a Christian. I know that God has forgiven me for the cruel things I did there, but I would like to hear it from your lips as well. Fraulein, …” his hand came out, … “will you forgive me?” And I stood there — I whose sins had every day to be forgiven — and could not. Betsie had died in that place — could he erase her slow terrible death simply for the asking? The hiding place in Corrie ten Boom’s bedroom where many Jews were hid before they escaped Nazi persecution in Holland. It was constructed behind a brick wall, accessible through a removable panel in a built-in closet. 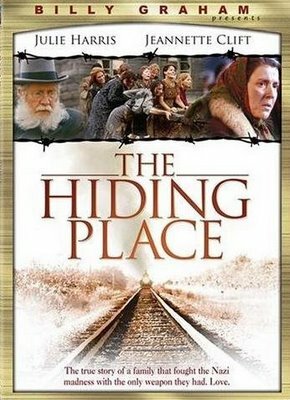 Categories: BIBLICAL HISTORY | Tags: Christians Supporting Jews, Concentration Camps, Corrie ten Boom, Forgiveness, Holocaust, Matthew 6:14-15., Nazi Persecution of Jews, Selfless Love, suffering, The Hiding Place | Permalink. 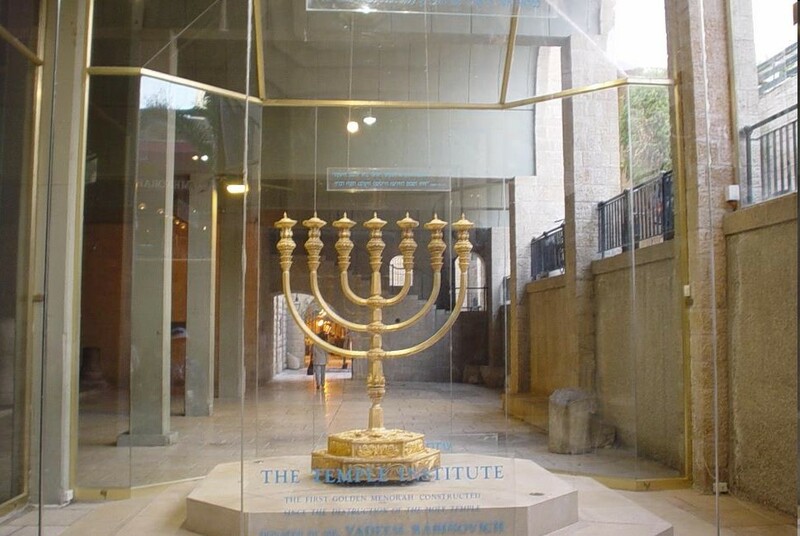 This beautiful Menorah (lampstand) replica is located in a glass case inside The Temple Institute Museum in Jerusalem, Israel. The menorah was crafted following years of painstaking research by Temple Institute scholars, who combed copious amounts of archaeological evidence, textual sources and more before they arrived at the right design specifications. It was finally forged out of 45 kilograms of 24-karat gold, and weighing in at one half-ton, is valued at some $3 million. The original Old Testament Menorah was placed on the south wall of The Holy Place, to the right of The Altar, and on the opposite side of The Table. Its seven olive-oil lamps were lit each day at twilight and re-filled with oil each morning (Exodus 30:7-8). Olive oil was used to light the golden lamps. It measures approximately 5 feet / 1½ meters high and 3½ feet / 1 meter across the top. Click on the image at left to see an enlarged view and location of the Menorah inside The Holy Place within the Old Testament Tabernacle. Categories: BIBLICAL HISTORY | Tags: Exodus 25:31-32, Israel, Jerusalem., Lampstand, Menorah, Old Testament Temple, The Temple Institute | Permalink.